Decision to place new school on soccer field comes after 2 years of engagement, evaluation. The new J.L. 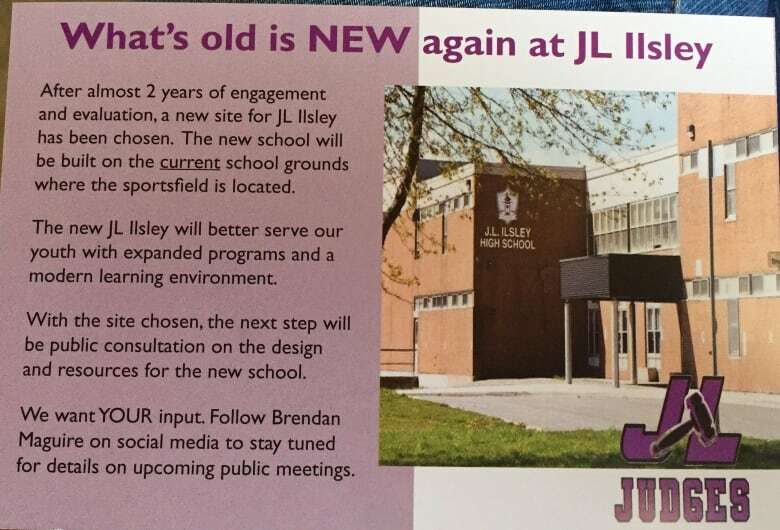 Ilsley High School in Halifax will be built on the soccer field behind the current school. Residents who live near the school were sent postcards this week that said the decision was made after two years of engagement and evaluation. "What's old is new again at J.L. Ilsley," the postcard read. Halifax-Atlantic MLA Brendan Maguire said the site was largely chosen because it's so central. "It's easy for everybody in the community to walk to, it's near people who may have affordability issues when it comes to transportation and it's on a local bus route — it's on more than one local bus route, actually," he said. "It just made sense to keep it where it's at." Although the site has been chosen, there will still be a public consultation on the building's design and future resources. Maguire said he'll be posting details about upcoming public meetings on social media. And he said he hopes people will attend and share their vision for the new school. For example, he said that while the school produces a lot of artwork, its current art room is small. "There's an opportunity for the public to come out and say 'Hey, you know what? We want to have a full-on art studio in the school to support our students,'" Maguire said. The province is aiming to open the new school between 2020 and 2021, Maguire said. Nova Scotia's Department of Education and Early Childhood Development confirmed to CBC News on Wednesday that the plan is to keep the current school open during construction. Building the school on the soccer field will mean losing that green space. But Maguire said he hopes it will be replaced with something better. "What I'd like to see done, and I think this is the idea behind it, is once the new school is built you demolish the old school and you could turn that into a real sports field." 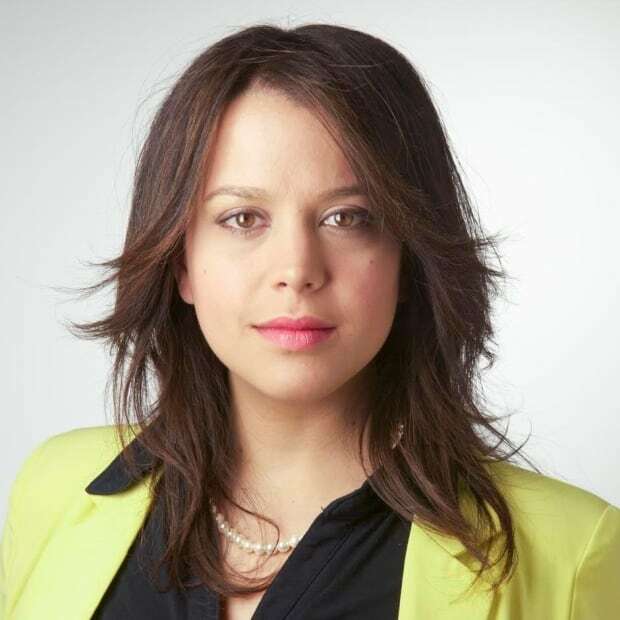 Plans to replace the current school — a building residents and students have been lobbying the government for years to renovate — were announced by Maguire and Halifax Armdale MLA Lena Diab in a Facebook video released in January 2017. Maguire made the location announcement on Instagram and Twitter in April. The decision to replace J.L. Ilsley has been controversial because some say there are other schools in Nova Scotia that are in more urgent need of replacement. Although school boards were dissolved in Nova Scotia at the start of this year, the board member who represented the area, Sheryl Blumenthal-Harrison said last year the school, which is less than 50 years old, was in good shape. Many parents, however, disagreed.